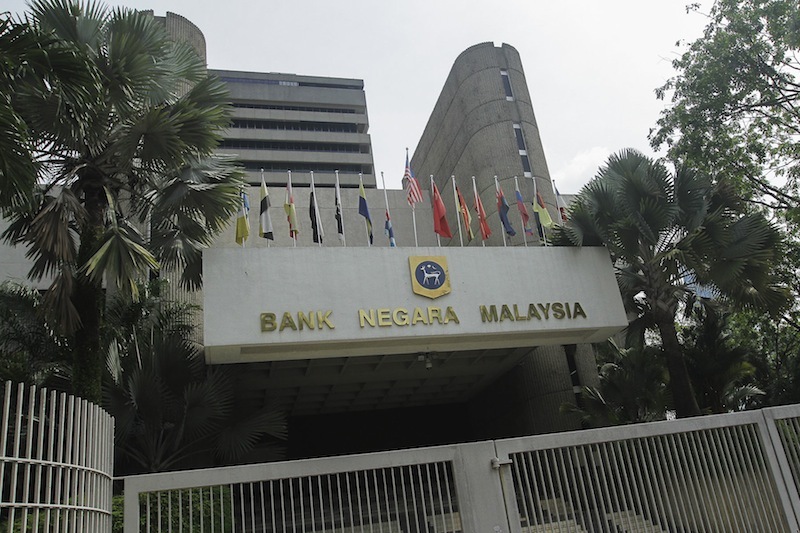 The nine-member panel ruled as constitutional Section 56 and Section 57 of the Central Bank of Malaysia Act 2009 (CBMA) which vested powers to the SAC to ascertain Islamic law. The court delivered the decision in a constitutional reference following a dispute in five agreements under Islamic banking facilities between Kuwait Finance House (Malaysia) Berhad (KFH) and a shipping company, JRI Resources Sdn Bhd, and three guarantors. The five judges who were formed the majority decision were Court of Appeal President Tan Sri Ahmad Maarop and Federal Court judges Tan Sri Azahar Mohamad, Tan Sri Ramly Ali, Datuk Alizatul Khair Osman Khairuddin and Datuk Mohd Zawawi Salleh. Chief Justice Tan Sri Richard Malanjum, Chief Judge of Malaya Tan Sri Zaharah Ibrahim, Chief Judge of Sabah and Sarawak Datuk Seri David Wong Dak Wah and Federal Court judge Tan Sri Idrus Harun dissented, ruling that the effect of Section 56 and Section 57 of the CBMA was to vest judicial power in the SAC to the exclusion of the High Court on Shariah matters. The majority judgment was delivered by Justice Mohd Zawawi who said the rulings passed by SAC constitute a form of expert opinion in the matter of Islamic finance. “The SAC members are highly qualified in the fields of Syariah, economics, banking, law and finance. The SAC rulings can be regarded as a collective ijtihad to provide consistency and conformity,” he said. Itjihad is an Islamic legal term referring to independent reasoning or the thorough exertion of a jurist’s mental faculty in finding a solution to a legal question (Source: Wikipedia). He said the SAC was merely an advisor whose role was to give an opinion on questions referred to it on Shariah law in Islamic banking and financial matters, hence there was no attempt by the executive to take over the court’s judicial power. Justice Zawawi said the proposition that the court has a vested right to accept and consider expert evidence was untenable. In the dissenting decision, Justice Malanjum said Section 56 and Section 57 of CBMA must be struck down as it was unconstitutional and void. He said an SAC ruling was not subject to any check and balance mechanism and its ruling was final with regards to issues of whether the clause in an agreement was Shariah compliant. “It would be a complete mockery to the doctrine of separation of powers if Parliament were allowed to delegate legislative power to any other branch of government or any administrative body,” said Malanjum. KFH filed a civil lawsuit against JRI Resources for recovery of outstanding amount due to KFH for four Ijarah Facilities agreements and one Murabahah Tawarruq agreement entered between them in 2008 and 2009. KFH also instituted a claim against the three guarantors.